Location: West Riding of Yorkshire, Cambridgeshire in England. Notes: John O'Gaunt's Castle was a royal hunting lodge in the West Riding of Yorkshire in England. 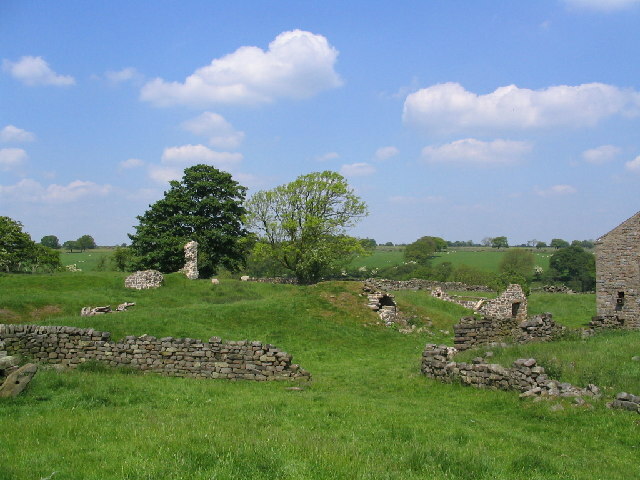 John of Gaunt's Castle is situated near Harrogate, now in North Yorkshire. The castle was considered to be the hunting lodge of John O'Gaunt, Duke of Lancaster, who was Lord of the Manor of Knaresborough for twenty-eight years until 1399. Strongly sited on the end of a spur at Haverah Park, is a ditched platform 35mx30m which had a curtain wall and a gatehouse, with a bridge over the moat. Within are buried footings of a central tower, 15m square, and 1 wall which probably formed part of a range. It was situated within the royal lordship of Knaresborough. Edward III had building works in progress here in 1334. In 1372 he granted it, along with Knaresborough to his son John of Gaunt, from where it gained its name.